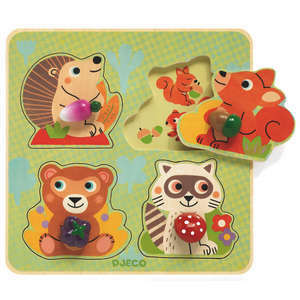 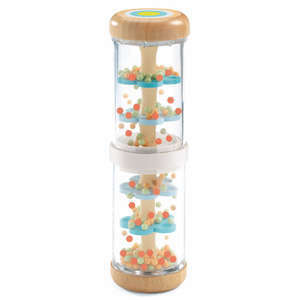 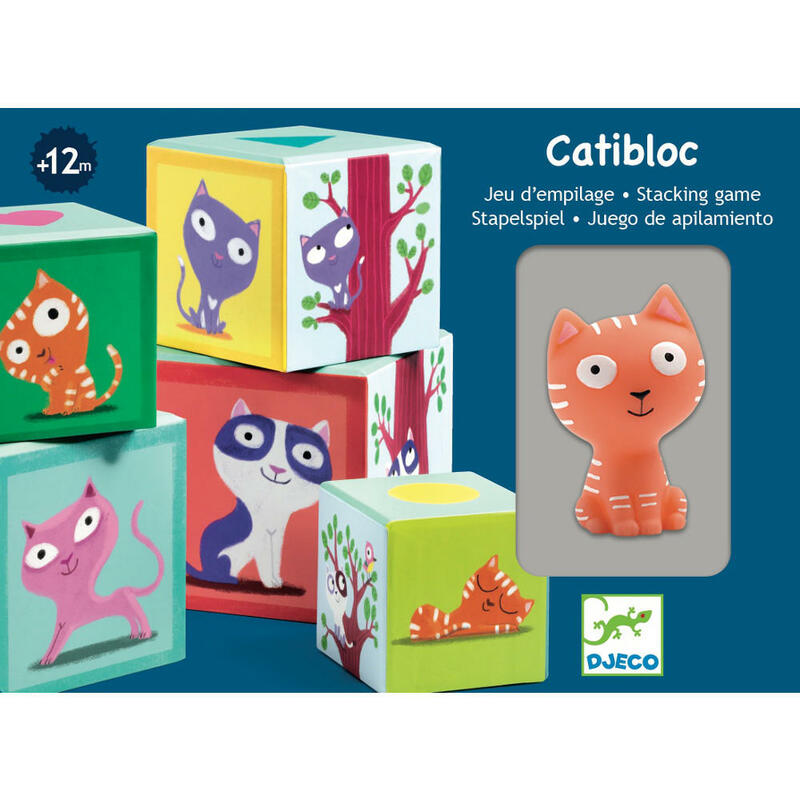 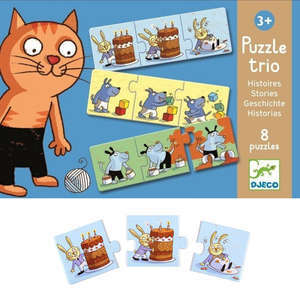 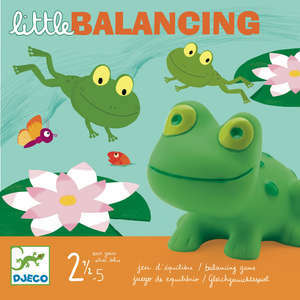 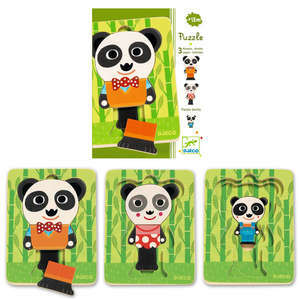 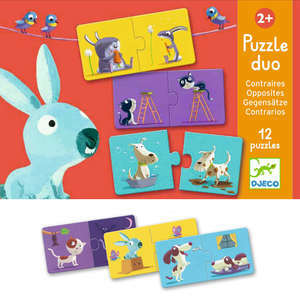 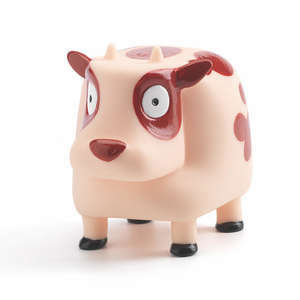 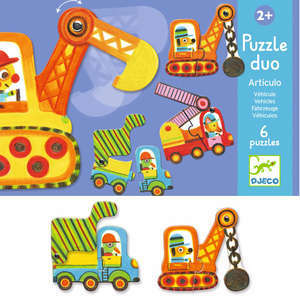 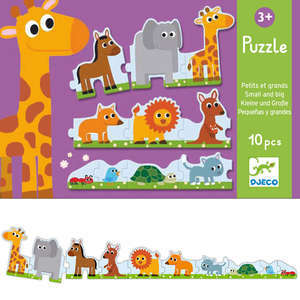 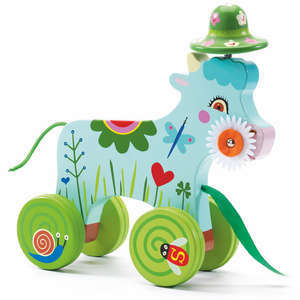 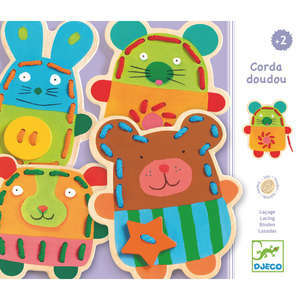 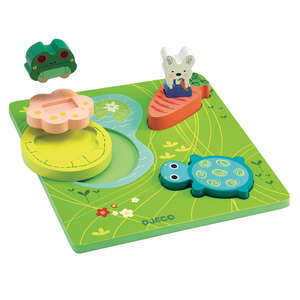 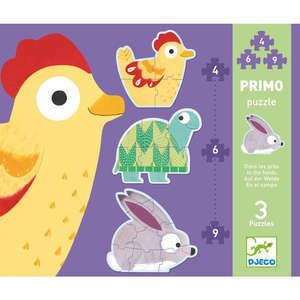 Djeco catibloc is an adorable first stacking toy for babies. 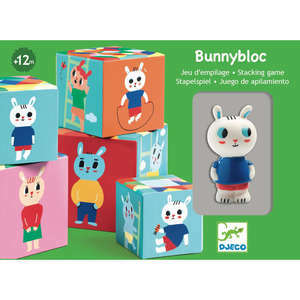 Stack the colourful cubes on top of or inside each other and explore the different sides. 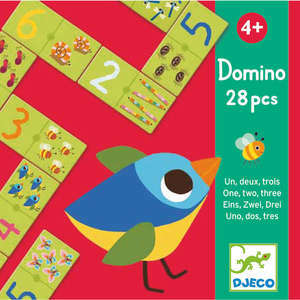 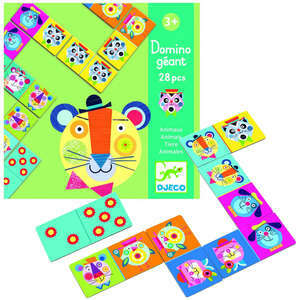 Discover numbers, colours, matching and more with the beautifully illustrated blocks. 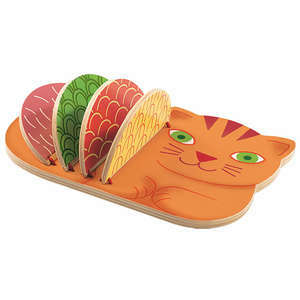 Complete with cute cat toy. 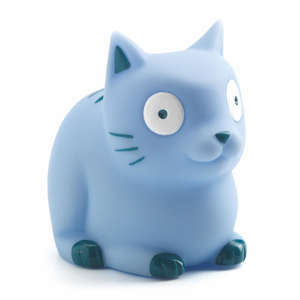 Box approx 19 x 14 x 13cm. 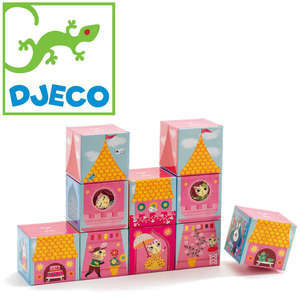 Height of blocks and figure stacked up approx 49.5cm.